Our goal is to connect people with the best local experts. 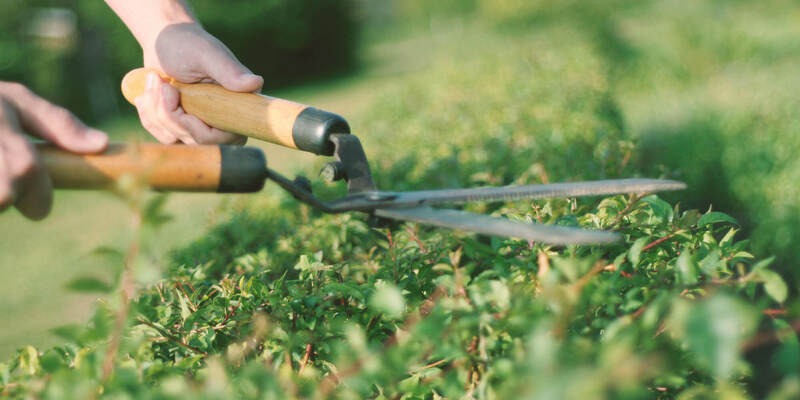 We scored landscapers on more than 25 variables across five categories, and analysed the results to give you a hand-picked list of the best landscapers in Chicago, IL. A Garden Guy Landscaping is a locally-owned business serving Arlington Heights, Glencoe, Glenview, Lake Zurich, Deer Park, Des Plaines, Winnetka, and surrounding areas. They specialize in landscaping services for commercial and residential properties. Typical projects include hardscapes, edible gardens, patios, and retreat properties. All Pro Landscaping is a full-service lawn maintenance and landscaping company in Lombard, Illinois. They serve Lombard, Elmhurst, Bensenville, Addison, Itasca, and surrounding areas. The company is praised by clients for their superb and timely customer service. All Season Blade Runners is a pro-active landscaping business in Mundelein, Illinois. Their specialties include snow removal, hardscaping, and landscaping. With over 18 years of experience, their professional landscapers aim to provide high-quality craftsmanship to each and every client. Founded in 2002, Anne Roberts Gardens is a woman-owned business located in Chicago, Illinois. They specialize in sustainable urban ornamental landscapes for residential and commercial properties. Typical clients include restaurants, hospitals, shopping centers, entertainment venues, sports venues, medical complexes, and government projects. Bret-Mar Landscape is a family-owned and operated landscaping business in Homer Glen, Illinois. Primary services include hardscape, brick restoration, fine garden maintenance, water features, and outdoor lighting. They provide services to both residential and commercial clients. Established in 1952, Bruss Landscaping has provided their local community of Wheaton, Illinois with quality landscaping work. Their team is comprised of architects and designers who are experts in the industry. They offer design, maintenance, and installation services for residential properties. CMS Landscapes is based out of Downers Grove, Illinois. They serve Elk Grove Village, Mount Prospect, Naperville, Woodridge, Wheaton, Glen Ellyn, and surrounding areas. Their expert landscapers specialize in hardscapes, patios, water feature design and installation, and general landscape design. Dig Right In Landscaping is located in Brookfield, Illinois and provides earth-friendly landscaping services. They specialize in 100% organic lawn care and maintenance services. The company serves customers in the Chicago metropolitan area. Elemental Landscapes is an award-winning landscape business in Frankfort, Illinois. They provide landscaping design, maintenance, and installation services for residential and commercial properties. Typical projects include outdoor kitchens, fire and water features, general landscaping projects and pergolas. They have won Best of Houzz Service award in 2014 and 2015 and Unilock’s Awards of Excellence. Established in 2007, Greenwise Organic Lawn Care is a leading sustainable landscape company based in Evanston, Illinois. The team serves commercial and residential properties in the Chicago metro area. They aim to create beautiful and sustainable landscapes for each client at a competitive price. In & Out Design is an award-winning landscaping business located in Arlington Heights, Illinois. The crew's specialties include residential hardscape and general landscaping work. Their awards list includes Best of Arlington Heights Interior Designer (2014), Angie’s List Super Service Award (2014), and Best of Houzz Customer Satisfaction (2014 & 2015). Kamin Landscaping is a family owned and operated landscaping business in Hinsdale, Illinois. They design and maintain landscapes for residential and commercial properties. Services include overseeding, fertilizing, landscape renovations, aeration, and dethatching. For over 40 years, Lawn Doctor has served the Chicago, Illinois metro area. They specialize in landscaping services for commercial and residential properties. Clients consistently rave about the company's excellent customer service and high quality of work. Since 1979, Nature’s Perspective Landscaping has provided expert landscaping services to the North Side and North Shore communities. Located in Evanston, they provide landscaping services for commercial and residential properties. Their specialties include lawn and garden maintenance, installation and construction, and design consultations. Pat Bernard Design is a locally owned sustainable landscape design/ build business in Evanston, Illinois. They design install eco-friendly landscapes for residential and commercial properties, and offer maintenance services to their clients. The company serves the greater Chicago area including Andersonville, Sauganash, Lincolnwood, Skokie, and the Northshore. With 35 years of experience, Potted Petals is a flower arrangement provider and landscaping business located in Lombard, Illinois. They specialize in landscape design and installation services. They provide arrangements for home decor, holiday decorating, and weddings. Rugzoom Synthetic Grass and Landscaping is an eco-friendly landscaping business located in Chicago, Illinois. Typical projects include design and maintenance for sidewalks, backyard, front yard, grass rugs, residential areas, and terrace.The company provides free design estimates. Founded in 2004, Streamline Landscaping serves La Grange Highlands, Illinois. The team thrives on providing excellent quality landscaping work to their commercial and residential clients. They specialize in lawn aeration, pondless water features, bush and bed pruning and shaping, mulch services, stone retaining walls, and more. Founded in 2003, Topiarius – Urban Garden & Floral Design is a landscaping company in Chicago, Illinois. They provide landscaping design and maintenance services for residential and commercial properties. Their services include interior floral, seasonal rotations, gardens, rooftops, and fine gardening. Tu Bloom Designs is a premier landscaping business located in Chicago, Illinois. They provide landscaping design, maintenance, and installation services for residential and commercial properties. They specialize in aquatic gardens, koi ponds, courtyard designs, conceptual design of hardscape, irrigation planning, and more. Established in 1994, Weiss Lawn Care specializes in commercial and residential landscaping services. They serve St. Charles, Wheaton, Downers Grove, and Naperville. Other areas of expertise include general lawn care, snow removal, lawn fertilizing, weed control, and mosquito barrier control. Founded in 1951, William Quinn & Sons Landscape Contractor provides commercial and residential landscaping services. Located in Alsip, Illinois, the business specializes in a variety of services including hardscapes, outdoor living spaces, landscape design, and landscape maintenance.